Ever wonder why so many B actors wind up as A-grade politicians? Or how the casting couch worked? Acclaimed author Kathleen Sharp traces the influence of show business through the lives of its first power couple. Edie and Lew Wasserman built the world’s largest talent agency, MCA, created the multibillion-dollar Universal Studios, and helped shape Washington, DC. For decades, hidden from the public eye, William Morris agents made the deals that determined the fate of stars, studios, and networks alike. 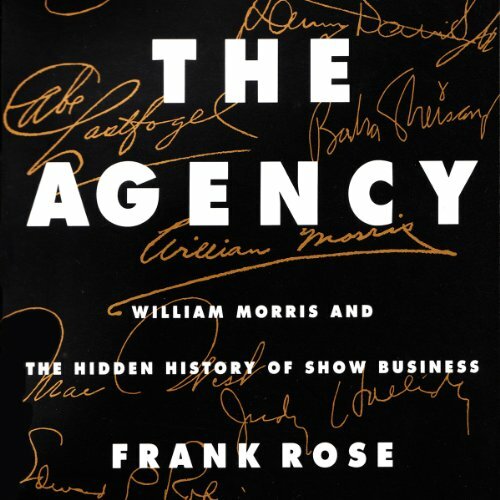 Mae West, Frank Sinatra, Marilyn Monroe, Danny Thomas, Steve McQueen--the Morris Agency sold talent to anyone in the market for it, from the Hollywood studios to the mobsters who ran Vegas to the Madison Avenue admen who controlled television. While the clients took the spotlight, the agency operated behind the scenes, providing the grease that made show business what it's become. The story begins more than a century ago, when a fiery young immigrant named William Morris opened a vaudeville-booking office on New York's Fourteenth Street and went up against the trust that ruled the leading entertainment medium of the day. Led after Morris's death by the legendary Abe Lastfogel, a cherubic little man who treated agents and clients alike as family, the firm transformed the agent's image from garish flesh-peddler to smooth-talking professional. 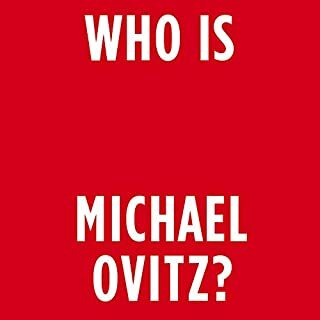 But when Lastfogel's successor brutally sacrificed his best friend--the man who'd brought Barry Diller and Michael Ovitz out of the mail room--William Morris gave birth to its own nemesis: Ovitz's new firm, CAA. Throughout the '80s and '90s, as the Morris Agency made, and lost, such stars as Mel Gibson, Julia Roberts, Kevin Costner and Tom Hanks, Ovitz's power grew inexorably as Morris's waned. Lulled by the phenomenal success of Bill Cosby and the upward spiral of the Beverly Hills real estate market, Morris's board failed to act as death and defection thinned its ranks. Finally, with its flagship motion-picture department on the brink of collapse, the board was faced with the stark reality of having to buy its way back into the business it had once owned. Interesting but bogged down by a constantly mentioning names that no mere mortal could keep straight. First off: Are we sure this was "Unabridged"? Because at around 10 hrs and 12 minutes into part two the thing ends in the middle of a conversation with Mike Ovitz. I logged on to double check that I hadn't missed Part 3. There was no part 3, so I guess the author spent 21 hours of filler and about the time we got to actually quoting the participants, the typewriter ribbon gave out. That said, this book is the type that has to constantly veer off into side stories and unnecessary details. Literally, if an agent of William Morris has a heart attack and a doctor is summoned, a brief biography of the doctor is given. Like I need to know the history of the doctor, or even that a doctor was summoned. How about you say they "had a heart attack and was out of the office 6 weeks"? It would have saved 4 minutes of time describing the doctor, mode of transportation to the hospital, the garish walls of the room they stayed in, their wife's reaction to the heart attack, and a lot of other detours that drag us away from the Willliam Morris story. I would say out of 21 hours there is maybe 5 hours of good material here. The rest is asides and description. This is coming from someone who averages a book a week and loves memoirs and biographies regarding Hollywood. I would rather we cut some of the asides and the book not go off a cliff during the Ovitz era. The fact that William Morris was scheduled to travel on the Titanic but had to cancel at the last minute due to a business issue, and later was scheduled to travel on the last voyage of the Lusitania and again had to reschedule, dodging death both times. And after all of that, the Hollywood Blacklist took down his son. Beyond that, there were brief moments the curtain was pulled back and you got a chance to learn the inner workings of the Morris Agency and what it faced through the years, before the curtain closed so that an in-depth description of the curtain, including what it was made of and the family history of the curtain's maker pulled you back out of the William Morris offices and took you to your sad place. Have you listened to any of Marlin May’s other performances before? How does this one compare? Not that I know of. When I hit part 2, I changed my speed on my MP4 to Fast and realized it made the tempo go better and got me through the asides a lot quicker. I rarely do this because I want to savor a book; but in this case, I needed to stay awake. Yes and no. I am glad I know the history that I gleaned from it, but sorry I wasted the time learning about that doctor at the hospital that escaped the Bronx and worked his way through medical school at night to be the one to not save an agent, etc. 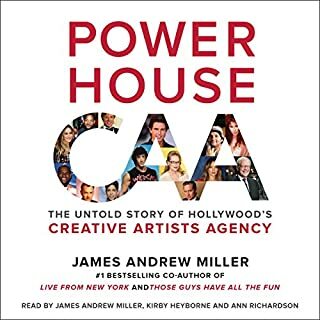 "Powerhouse: The Story of CAA" should be about the lowest version of a book on this topic, and it was ok. The Agency is really not worth the time or money/credit for what you do learn, unless, like me, you have ran out of memoirs available and you are desperate to have something to listen to. If that is the case, set your MP4 to Fast, and be ready to hear about doctors, curtains, and all of the other things that we can take just a moment to talk about before returning to our feature presentation. This was a very honest and forthright portrayal of the entertainment industry. Specifically, it focused on the William Morris talent agency. I was always fascinated with the agency and it was interesting to learn its history. This is a very good book to read. Wow! I was ALWAYS so curious about how things started and worked with these big powerhouses of the film industry. William Morris has been such a big name in the industry. Even today we still hear many of the names listed as a part of this agency. 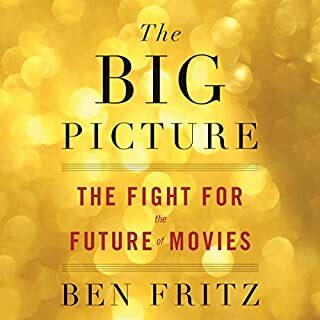 What a fascinating look into the world where only the most powerful in Hollywood play a game of high stakes gambling on the backs of the talent that walks through the doors. 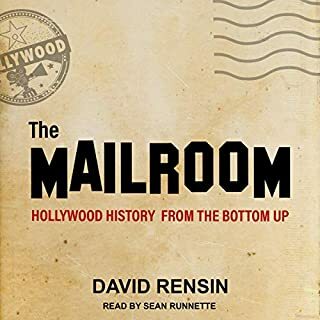 If you are fascinated by actors/actresses, films, movies, Hollywood, and or the history of some of the most powerful men in the industry of film, and Hollywood..., this book is for you! Yes!! The stories you've heard are true! Peddling the flesh of new talents and fighting to hold onto what they have..., the William Morris Agency is cut throat, and at times ruthless. Don't bother wasting your time, money or points! 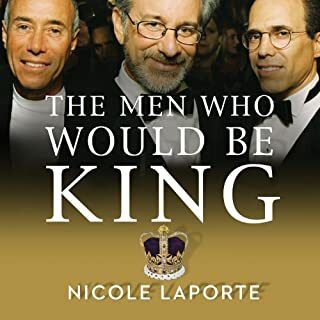 I believe it's important to say the reason why I chose to purchase this audiobook, because I do have the hard copy but the book is so thick, like a doorstep, and heavy, that I have seriously injured myself by carrying it around. That big; honestly! Plus I already have a spinal injury so I felt that buying the audiobook would assist me in reading the book, on the go, and get it read fast with less agro than it's worth. I am very interested in some of the leading agencies, including William Morris and CAA, so I didn't even sample it as there was only one option to purchase it on audible. I didn't even think about it; so I partially blame myself. I did also see there was only one star rating of three stars; but no review. Please people; give a review because it enables people the option to ascertain whether it's worth purchasing. I am in total disbelief!! From the very beginning; I knew something was wrong. It is very important that the reader has a voice of interest, and this reader read this book like he had a gun to his head!! Come on audible! Surely you can audition or interview people that read for you, because this is THE worst reading I have ever come across. Let me try and explain. His voice is boring, monotone, doesn't change in intonation, and seems like he must have been put in a position of threat to have to read the book. I ask myself..does he know how to read? Has he just learnt? Was he forced to do it against his will? Why?? I loved reading, the actual book, when I first got it, but on listening to just 5 minutes of it on audible; I absolutely can not torture myself to listen to a whole 467 pages of this drizzle for 21 hours! This is my honest opinion. I have listen to many audiobooks and have enjoyed every moment of it. It's a great idea, but seriously! I do not recommend this book for the reason of the reader alone, and I will now resign myself to bulk reading it myself over the whole weekend, starting from now (7am Saturday morning), avoiding all choirs, tasks, and even eating so I can get through it and start the company analysis that I am doing on WME without having to torture myself further by listening to this mans voice. 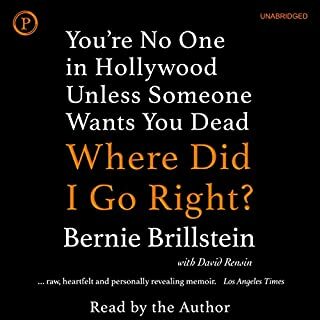 I challenge anyone to listen to this audiobook and not only find it interesting, but give an alternative review to mine. For a full review of the actual book; I will put it up on Goodreads when I'm done. Other than that; don't bother wasting your time, money or points.